ROME -- The shock waves of this election, with a 73% voter turnout, have swept away the entire political system that has managed Italy for the past two decades. Dominated by populist parties, this is now being called the dawn of Italy's Third Republic, a term that is purely political rather than technical or legal. During the First Republic created after 1948, Christian Democrats and Communists together, decade after decade, claimed two-thirds of the vote. But this essentially collapsed with the Berlin Wall and the rise to power after 1993 of Silvio Berlusconi, who went on to dominate Italian politics for the next two decades. In what was dubbed the Second Republic the political arena was bipolar, divided between center-right and center-left. Today that bipolarism lies in tatters and, with it, the Partito Democratico (PD), formerly the largest of the vaguely idealistic parties with a social democratic orientation tempered by a progressive Catholic component. The PD, which has governed for the past three years, claimed only 18.7% of the vote whereas, in the last national general election just five years ago, it had claimed 25.4%. Needless to say, the party is quarreling over who was at fault. With almost 33% of the vote, the Movimento Cinque Stelle (M5S) won more than any other single party. In these early days of negotiating for composition of a new government, the M5S has offered to support the PD -- but if it does, half the remaining PD members will bolt. 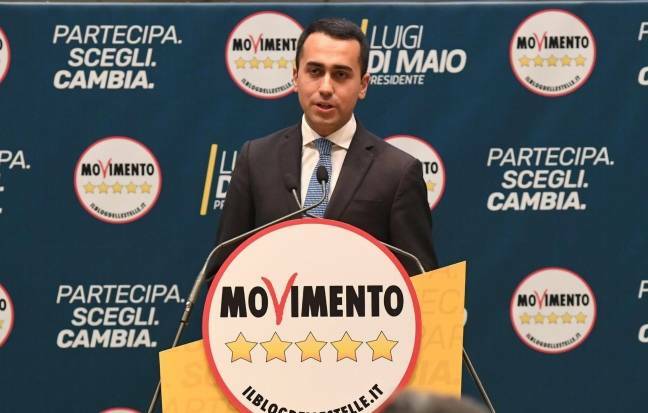 Alternatively, if the PD says no, the wily M5S apparently plans to join ranks with the rightist Lega to write a new election law which, it is a safe bet, would further punish the PD. Already PD general secretary and former premier Matteo Renzi has announced plans to resign, writing Tuesday on Facebook: "The PD lost: let's change the page -- for this reason I am leaving the leadership of the party.... In future years the PD will have to battle against the extremists of the Five Star Movement and of the Right. They have been insulting us for years and their values are the opposite of ours." Behind the scenes Renzi blames those within his party who did not allow him to call for elections earlier, when the PD (in his view) appeared stronger. The larger of the two components which Renzi called "the Right" is the four-party coalition cobbled together by former Premier Silvio Berlusconi. Of the four, his Forza Italia won just 14% of the vote, and unexpectedly trumped by the Lega of Matteo Salvini with 17.37%. Their partner Georgia Meloni with Fratelli d'Italia won 4.35%, and the tiny Noi con l'Italia, 1.3%. The coalition's grand total of 37% sufficed to crow victory, but not enough to take over the government automatically, which would require 40%. This meager result left Berlusconi reportedly devastated while a joyful Salvini was polite but insisted that his victory gives him the right to be premier. 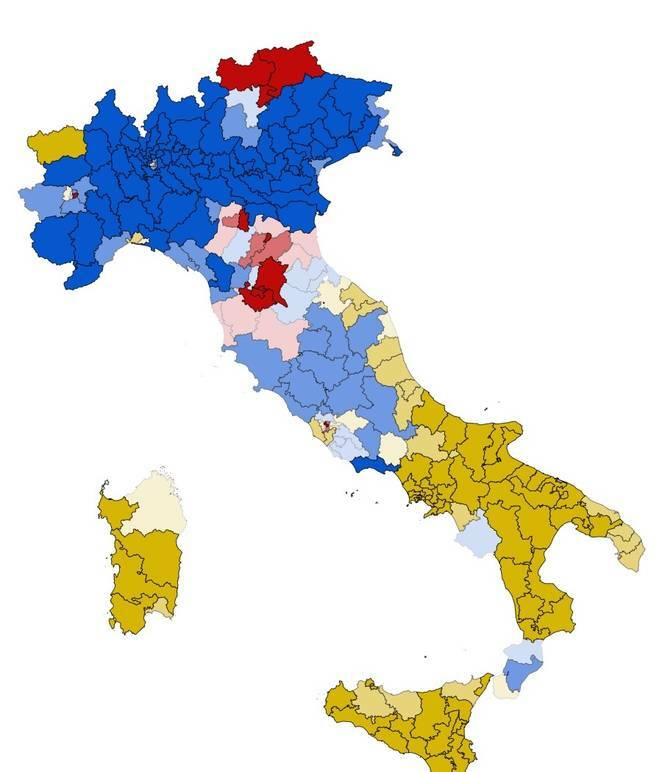 In coming weeks, and perhaps months, the struggle between the Salvini-Berlusconi coalition and the more radical M5S must be settled, but by whom? Prior to the vote President Mattarella had made it clear that, if an endless stalemate results, passage of a new and clearer election law might be necessary to replace that, never previously tested, considered partly responsible for today's outcome. An endless stalemate could lead to new elections, presumably in the autumn. However, if there is a "nightmare crisis without an end," said La Stampa commentator Ugo Magri, forget it: President Sergio Mattarella is not about to dictate solutions for the government, which the parties muse provide with "clear indications." -- a so-called "technical government" headed by an appointed, apolitical leader. Nothing concrete happens before March 23, when the procedure for electing new presidents of the Chamber of Deputies and Senate begins. Pre-election coverage by the overseas press has been less than stellar. A good deal was written about the risk of a rise in Fascism, with particular attention to CasaPound which, in the event, claimed under 2%, triple its vote in 2013, but insufficient for Parliamentary representation. Another example: the liberal internet forum DailyKos wrote with extraordinary optimism that the M5S platform represents "1) clean, unpolluted, accessible public water, 2) sustainable transport so people can get to work and around the country easily, 3) sustainable development as opposed to large and unnecessary projects, 4) the right to internet access for all, and 5) care for the environment." That reporter might have gone beyond unrealistic propaganda to analyze the reality of the scandals over the mismanagement of the M5S city of Rome, its first actual test. The only English language report I managed to find after an hour of searching that contained more facts than commentary. Thank you.